The ongoing saga of the FBI investigation into Russian collusion and the Trump campaign took a dramatic turn this week when FBI Deputy Director Andrew McCabe resigned Monday. The move is widely seen as a necessary one, since reports indicate that McCabe was snared in an internal investigation into the handling of Hillary Clinton’s email server. 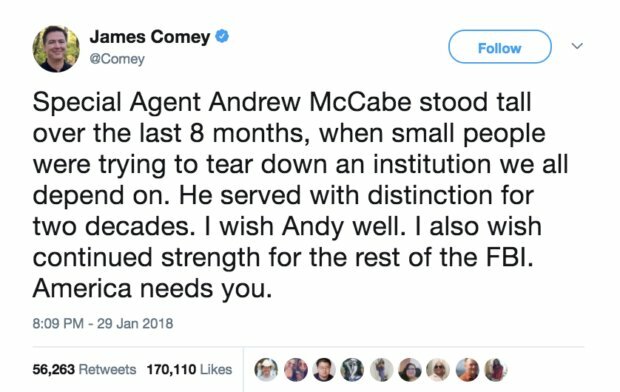 McCabe was close to now infamous FBI Director James Comey. 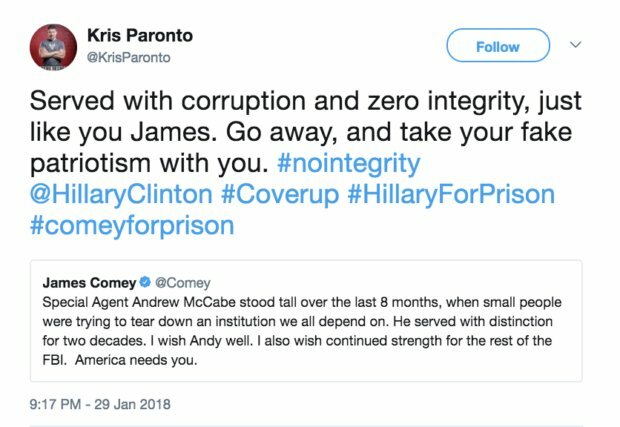 This is a fight Comey will most likely not win.